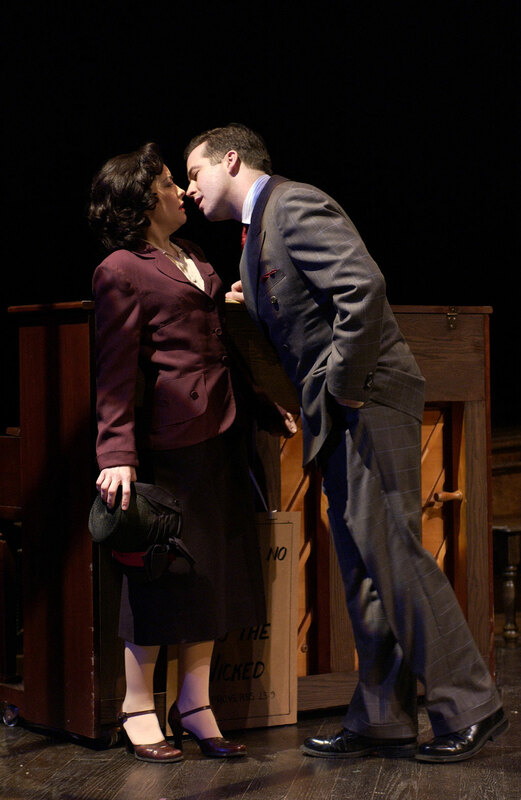 Guys and Dolls uses an irresistible blend of satire and romance to tell the story about the unlikely love match between a slick Broadway gambler and a pure at heart Save-A-Soul mission worker. Based on Damon Runyon’s Jazz Age experiences when he was a reporter at William Randolph Hearst’s New York American, Guys and Dolls presents New York in the 1920s, and is specifically drawn from the short story “The Idyll of Miss Sarah Brown,” which first appeared in the January 28, 1932, issue of Colliers. Runyon based a number of characters and places on those he knew or had encountered, scarcely masking his characters’ and locales’ identities (the famous deli Lindy’s, for instance, became Mindy’s). When Guys and Dolls the musical opened on November 24, 1950, it became one of the great successes of Broadway history running for 1,200 performances and winning five Tony Awards including ‘Best Musical.’ It was subsequently made into a feature film starring Marlon Brando and Frank Sinatra. Set in Damon Runyon’s mythical New York City, this romantic comedy—considered by many to be the perfect musical comedy—introduces us to a cast of vivid characters who have become legends in the music theatre canon as they take us from Times Square, the cafes of Havana, Cuba and even to the sewers of New York City.